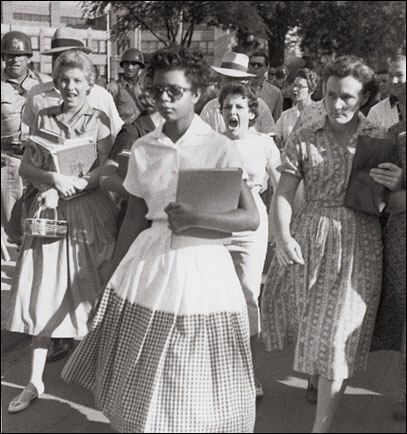 Elizabeth Eckford 10/4/1941 Little Rock, AR. One of Little Rock Nine, a group of black students who were the first to attend classes at Little Rock Central High School as a result of Brown v. Board of Education. She was the first black to integrate a white southern high school. Received the Congressional Gold Medal, the nation’s highest civilian award by President Clinton in 1999.